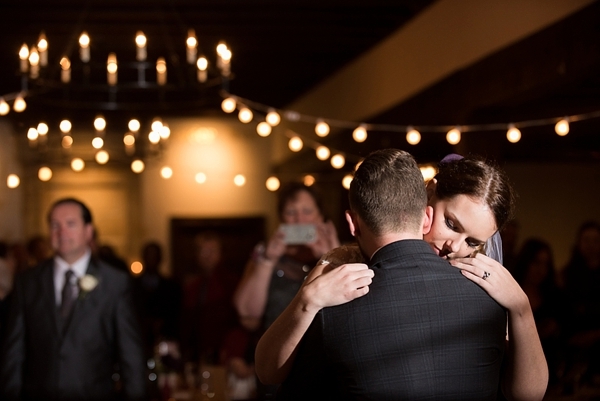 Six years after Neil and Lindsay first shared headphones on a train bound for Chicago, he proposed on a hike of Old Rag Mountain on the beautiful Blue Ridge Parkway. 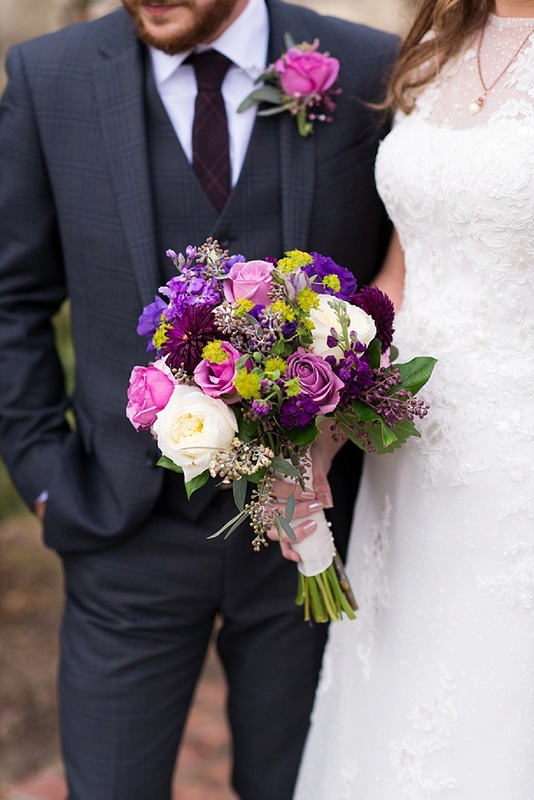 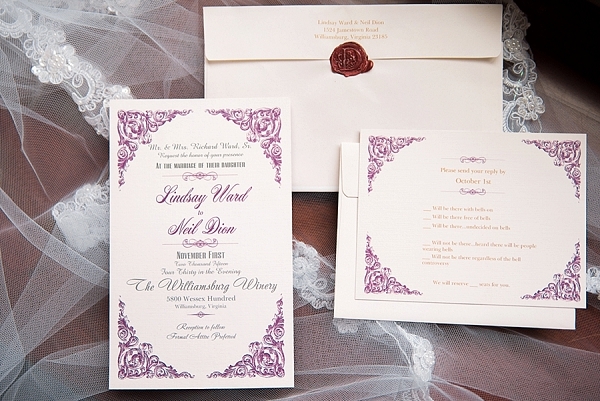 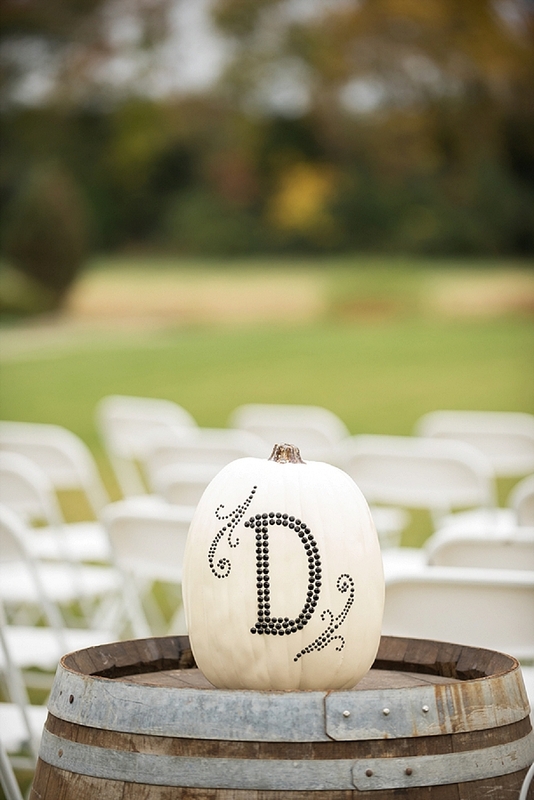 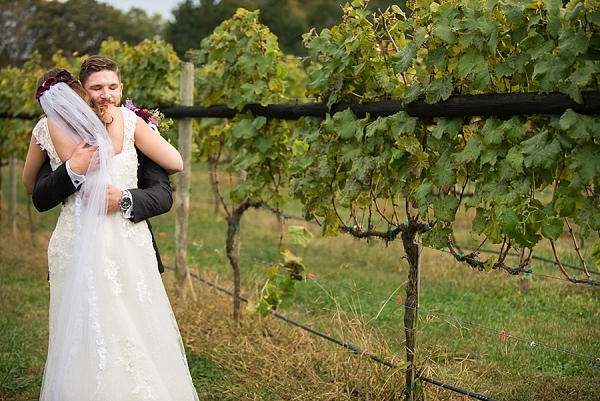 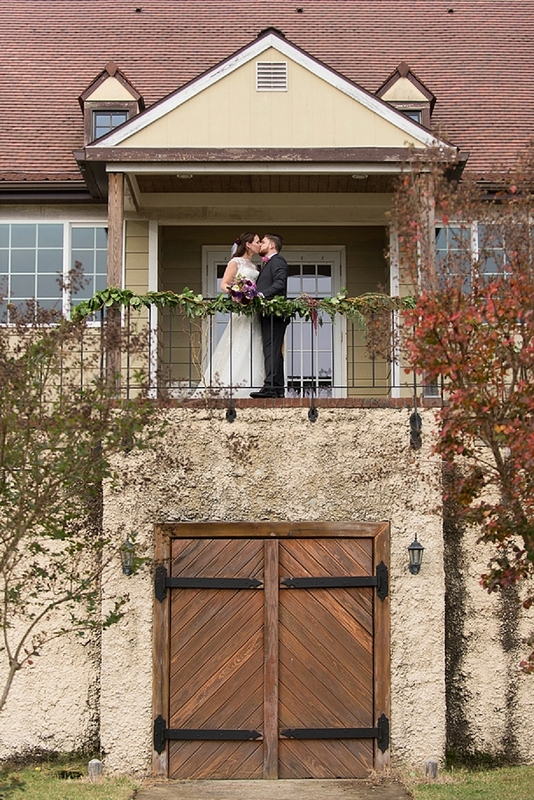 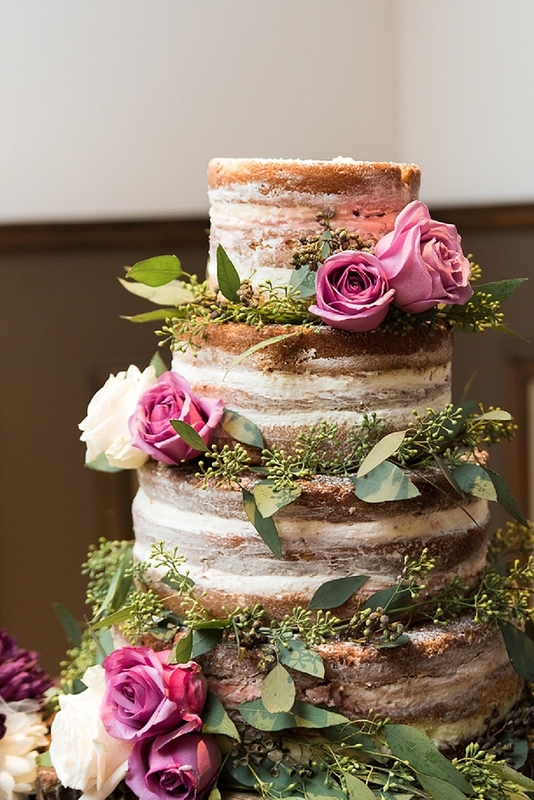 And last November, they gathered their family and friends at the beautiful Williamsburg Winery on a gorgeous fall day and promised to share the rest of their adventures together. 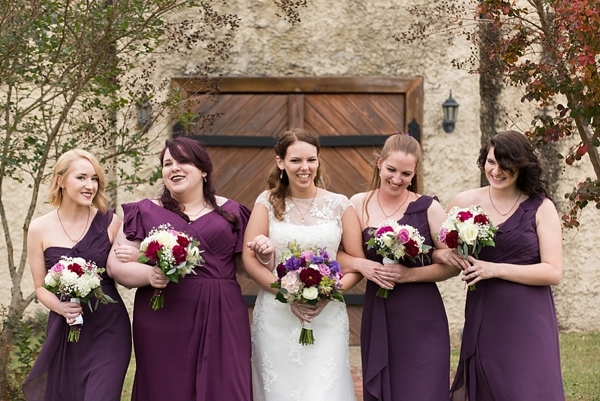 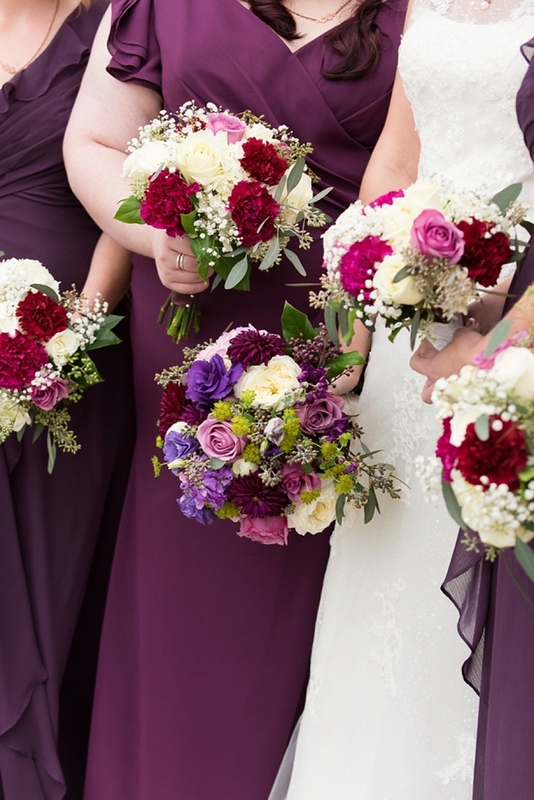 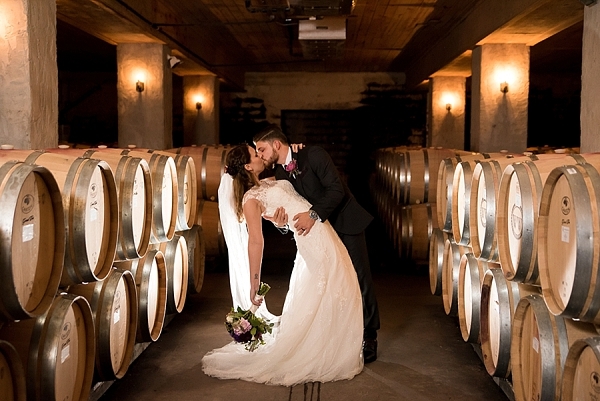 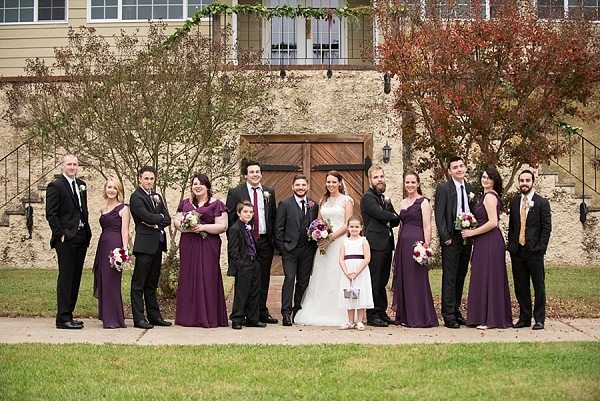 Coordinated by Events by Truly Yours, Neil and Lindsay chose a purple, copper, and wine color palette which paired perfectly with the dark wooden décor of the winery. 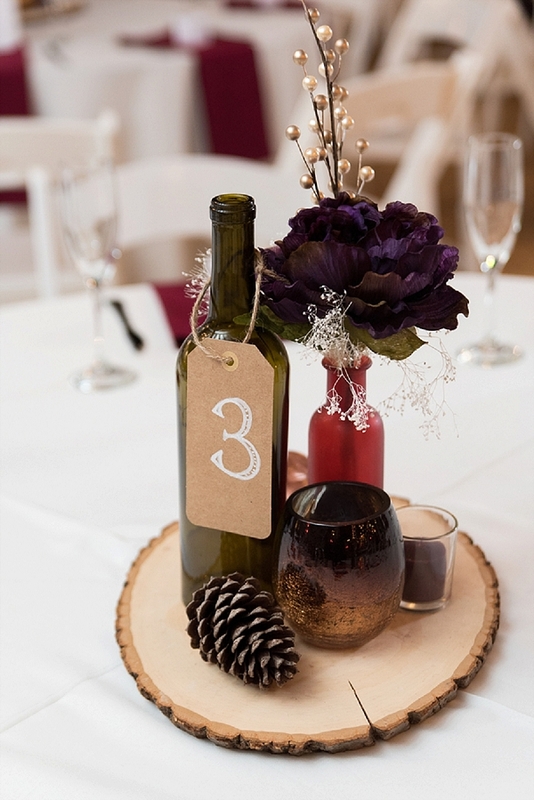 Elements of handmade touches like colored bottles, handwritten table numbers, and painted signs were scattered throughout the day that helped personalize their wedding. 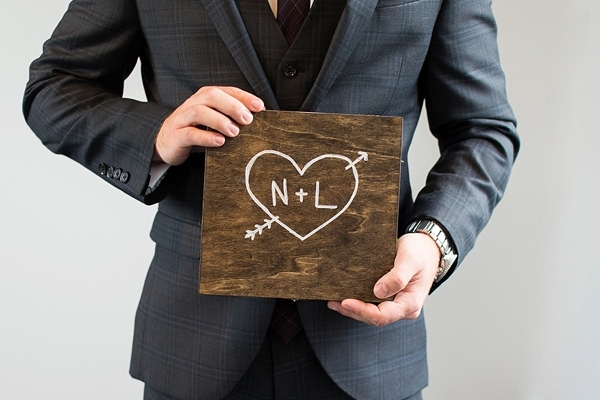 Caitlin Gerres Photography captured everything from an emotional first look and Neil's handwritten vows to the custom tea wedding favors blended special for their guests. 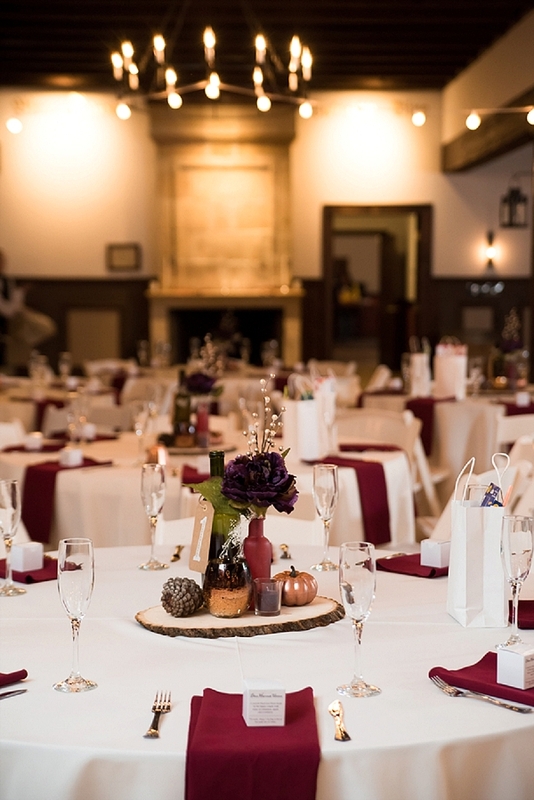 Though the setting of the winery requires few extra decorations, pinecones and cut wood slabs made perfect autumnal centerpieces, and an adorable ring box made by the groom matched the wood and wine theme of the day.